The best nursing schools and universities in Australia do an excellent job of training future nurses. They develop competencies, provide an enjoyable learning experience, and help you get started on a career. strong rates of graduate employment. The top 10 universities for nursing and midwifery in 2017 are: University of Notre Dame Australia, Australian Catholic University, Edith Cowan University, University of Adelaide, University of Technology Sydney, Charles Darwin University, Deakin University, University of South Australia, Curtin University, James Cook University (Source: Uni Reviews). A nursing career offers many benefits. Nursing and midwifery in Australia is associated with high job satisfaction, secure employment, solid pay, and the flexibility to work in any city or town. Training to be a nurse is a big commitment of time and energy. But there is an attractive payoff. Here are the top 5 reasons why studying nursing is a good career move. Nursing is a job where you can help people directly – so you get to see the results of your good work. That can bring extra satisfaction. Nurses are vital to the delivery of health services and in supporting people during difficult times. It is a positive role that you can take pride in. Nurses have their good days and bad days and the job can be stressful. But, overall, they feel upbeat about their profession. An Australian study found that 96% of nurses and midwives are at least moderately satisfied with their work (Skinner et al). Most nursing graduates find full-time employment within a few months of finishing their degree. The employment rate is around 80%, which is higher than most other disciplines (source: Graduate Destinations Survey). Once you've made a start on your career, job security is excellent. Hospitals and other health service institutions are reliable employers. Nursing is a career which accommodates changing life circumstances. Experienced nurses are needed in every city and town. So you can move to any populated part of the country and expect to find work. The profession also allows for timeouts. You can take years off for family and other reasons and pick up your career again without great difficulty. As a people-orientated job, nursing presents constant variety. Nurses who help patients or clients directly meet new people each day. Your work can change with each case or as you move into different roles. Like most professions, nursing has career paths which allow for growth, development and extra responsibilities. Senior nurses can move into director, specialist, consultant, education and health administration roles. Nursing is a wonderful and rewarding career, but it can be hard, emotionally and physically. Shift work can be tough and working a seven day roster can play havoc on your social life. Your first month of full-time work will be exhausting, but seeing the impact you have on your patients makes it worthwhile. After completing your initial registration as a nurse, you can seek employment directly with hospitals or healthcare services. Many hospitals offer graduate programs which give nurses the opportunity to experience nursing work across a range of fields and specialisations. Alternatively, you may choose to start your career with a healthcare provider in a particular sector. Nursing careers can be highly varied and diverse in the nature of work performed, the types of patients you will care for and the clinical conditions that you may be exposed to. 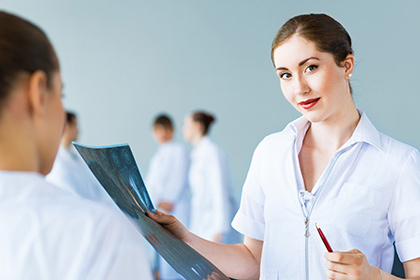 The best nursing universities in Australia offer a bachelor program of the right size. In any part of Australia, there is only so much demand for trainee nurses and nursing graduates. If a nursing program is too big, the quality of training placements can suffer. Graduates may also struggle to find a job in the local area. With this in mind, our top rated nursing programs are at the University of Notre Dame Australia and the Adelaide Nursing School. The nursing schools are sizeable but not large by Australian standards. Importantly, they perform well in surveys of student satisfaction, and average graduate salaries (which account for unemployment) are high. For detailed nursing program statistics, see Uni Reviews. The University of Notre Dame Australia (Fremantle and Perth) has the top rated nursing school. It scores highly for student satisfaction with courses, and performs well in getting graduates into jobs. Program numbers are limited, which helps Notre Dame find suitable placements for all students. As per national requirements, students complete 400 hours of supervised training each year. The Fremantle campus offers nursing diploma holders an articulated bachelor degree – a shortened 2-year program for students already eligible for enrolled nurse registration. The Adelaide Nursing School (University of Adelaide) is relatively small but achieves excellent results. It is at or near the top in Australia for course satisfaction ratings and graduate salaries. The Bachelor of Nursing program provides extensive practical experience in a clinical setting – more than the standard amount in Australia. Placement settings are diverse and graduates are well equipped for any kind of nursing career.